How Far is KG Green Meadows Condominiums? 24 exclusive luxury condominium apartments tucked away amongst lush greenery, just a stone's throw away from the busy Velachery Main Road. Nestled in a purely residential neighbourhood in the very heart of the city at Velachery! KG Builders has earned the reputation of being one of Chennai's most trusted realty companies. We established our roots in the city in 1980 and have absorbed its culture to create strong values and virtues. KG has built an enduring relationship with the people of Chennai, through more than 160 projects that are delighting more than 6000 homeowners and corporate clients. We at KG enrich homes with passion and expertise. The established builder has created some exquisite projects around the locale such as KG Earth Homes which is just 5 mins from navalur junction and has well planned 2,3 BHK Apartments for sale in Siruseri, OMR. 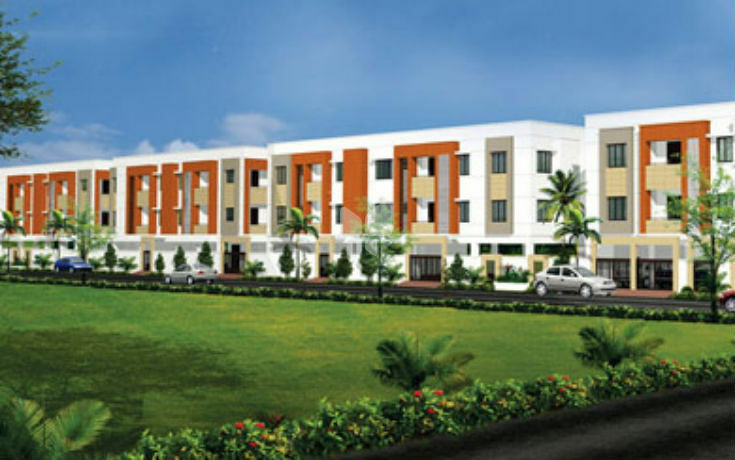 KG Good Fortune is also one of the most welcomed project by the builder being developed with Ready to occupy 2,3 BHK Apartments for sale in Perumbakkam, Chennai. With over 8 million sq. ft. of development in the pipeline and another 10 million sq. ft. planned to be developed over the next 3-5 years across the residential, commercial and hospitality space in Chennai, we are here for good and feel great to be here. KG will soon expand its presence with a spectrum of realty projects across Hyderabad and Bengaluru. 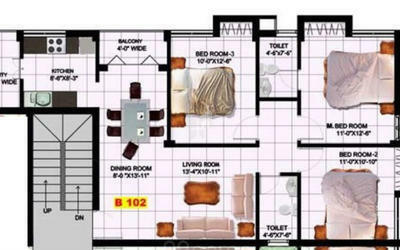 KG Centre Point offers 1,2 BHK Apartments for sale in Poonamalle, Chennai. If you are looking for a independent villa developed over a luxury floor plan then KG one and only is the right project for you offer apartments and villas for sale in Thoraipakkam, OMR, Chennai. We at KG have always believed that the key to growth lies in harmonious relationships. Our special bond with Chennai has carried us through a successful journey of 37 years. And many more to come. Our rock-solid reputation is derived from a strong financial base and an emphasis on completely transparent dealings. We are proud to be one of Chennai's first ISO:9001-2008 companies. We are also on the approved list of major housing finance companies. We at KG understand the importance of environment friendly building practices that help us develop homes without depleting or damaging precious natural resources. We pride ourselves on providing real estate solutions that help reduce our carbon footprint and promote an environmentally sustainable quality of life. To understand what makes a project feasible requires experience and long-term vision. We study and identify market trends and customer requirements before we embark on construction and monitor costs at each step of the way. It is our endeavour to always provide options that offer best value for money today, and continuous appreciation in the future. To strive to exceed the expectations of our customers, corporate clients and investors through superior quality construction that stands the test of time. All through transparency, improvised specifications, timely delivery and the utmost degree of professionalism and ethics. To be a valuable real estate development company that benchmarks world-class real estate products and concepts, across all real estate verticals, thereby significantly contributing to building modern India and creating greater value for customers, corporate clients and investors. To create residential marvels for customers, like what we would create for ourselves, with zero compromise on quality, standardization and attention to detail. Embracing foundation values that have been culturally inherited right from the establishment of the company. Leaving no stone unturned to infuse the company's heart and soul into creating quality residential addresses for our customers – addresses that they will never want to change. Our endeavours will be backed by a top-notch R&D team with a never-give-up attitude to go any distance to stay on par with the latest technology, the finest construction materials and in-vogue design. Our ultimate goal is to instil a sense of warmth, comfort and luxury in the customer's mind, for a lifetime. Seeing is believing. Visit our model apartments, our sites and completed projects to witness the transformation of our vision into reality. We are confident that once you do, our values and expertise will help to make your dreams a reality.